It doesn’t take long. That beautiful screen you once stared into lovingly is no more than a shadow of its shiny old self. Of course, when interacting with a touchscreen, fingerprints, grime, and other unidentified smudges are unavoidable. This is especially true for those who use their iPads in the kitchen without a stylus. 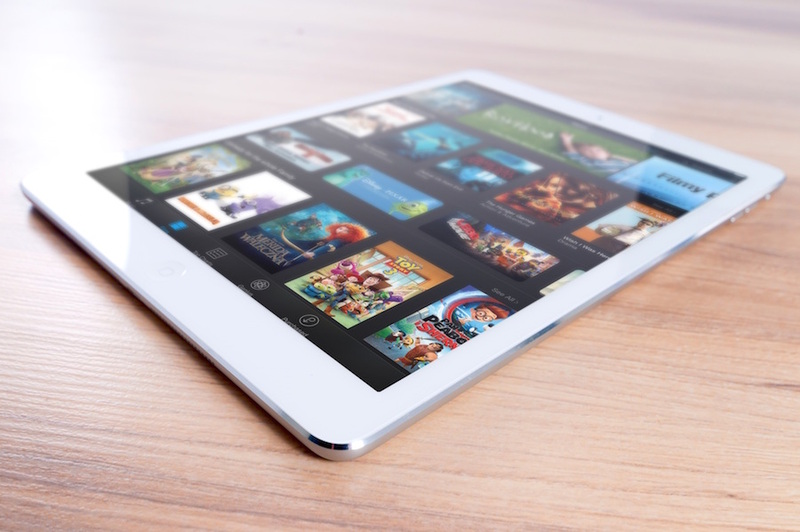 Luckily, cleaning your iPad’s screen is a simple task that involves little to no extra equipment at a minimal expense. If not, don’t sweat it — a microfiber cloth can be purchased online for pennies. While you can technically clean your iPad’s screen with any soft, non-abrasive and lint-free cloth, we strongly recommend using a microfiber cloth to be completely safe. Microfiber cloths are a veritable force of nature. They can remove smudges and grime from iPad screens, eyeglass lenses, laptop screens, LCD displays and more. Made up of micro-sized fibers that attach themselves to even the tiniest of dirt particles, these magical cloths get the job done efficiently and effectively. With a quality microfiber cloth and a bit of manpower, your tablet’s screen will look brand spankin’ new in no time. Have you ever heard the term “oleophobic coating”? At some point, you have probably heard it tossed around. It’s a fancy name for the substance coating most smartphones and tablets these days. This substance lacks an affinity to oils. This means that it makes your screen a little bit more resistant to fingerprint smudges. Your oleophobic coating makes it possible to clean your screen without much effort. Without it, it would be much harder to wipe those smudges away. But while the coating does work, it won’t keep your screen clean for good. You are still going to need to clean it every once in a while. Before you do, take stock of your device. Will a regular old wipe-down with a microfiber cloth do the trick? Or do you need something a bit more drastic? If your screen is pretty messed up, you might want to choose the right cleaning solution to help you out. While it isn’t necessary to use a solution, for really dirty screens, we would suggest it. Keep in mind that there are pros and cons to using a solution: it will make your job a bit easier, but it could also diminish the effectiveness of the oleophobic coating we mentioned earlier. This is why you should avoid household cleaner (Wet Wipes, Windex, etc.) or rubbing alcohol at all costs. Instead, purchase a cleaning solution that is designed specifically for cleaning iPad screens, touchscreens, or LCD displays. Low quality solutions may leave streaks, so be sure to go for quality. We chose Screen Mom Screen Cleaner Kit based on almost two thousand 5-star customer reviews on Amazon – it worked wonders. The olephobic coating, as we mentioned, is great for repelling oils from greasy fingers. But over time, the effectiveness of your screen’s coating will diminish. Essentially, it just gets worn out form regular use. To preserve the effectiveness of your coating, steer clear of household cleaning products and abrasive materials. If you’ve been using the same device for years and notice that your coating has been diminished or fully removed, you can easily purchase a smudge-proof screen protector for your iPad. Once you have gathered your materials, follow these 4 simple steps for the shiniest results! To begin, make sure your iPad is disconnected from any power source and turn it off completely. Make sure that there are no small pieces or particles stuck onto the surface of your iPad’s screen. The last thing you want to do is permanently scratch your screen by scraping something across it. With a cleaning solution: Dampen your microfiber cloth with your chosen screen cleaning solution. Make sure the cloth is damp and not wet. Never spray a cleaning solution directly onto your iPad’s screen. Instead, spray the cloth. Gently wipe your iPad’s screen in small circular motions. If your screen is extremely dirty, use a new cloth halfway through to avoid spreading the grime back onto the screen. Without a cleaning solution: Using a microfiber cloth, simply wipe your iPad’s screen gently in circular motions. You can spend a bit more time wiping those tough spots. On its own, the cloth should be able to pick up all dirt and oil particles. Use a stylus at all times. Not only will an iPad stylus save your fingers from repetitive strain injuries, they’re great for reducing the amount of fingerprints and smudges on your iPad’s screen. Wash your hands before an iPad session. Our skin naturally produces oil. You can help keep these oils off your iPad’s screen by washing your hands right before using your iPad. This is especially important if you’ve been sweating beforehand or have “clammy” hands. Avoid moisturizing before using your iPad. Seeing as our hands are naturally oily, I’m sure you can imagine the smudges that will appear on your screen after moisturizing. Use an iPad screen protector. With a quality screen protector, you won’t have to worry about smudging (or cracking) your iPad’s retina screen and cleaning it will be a less precise task.